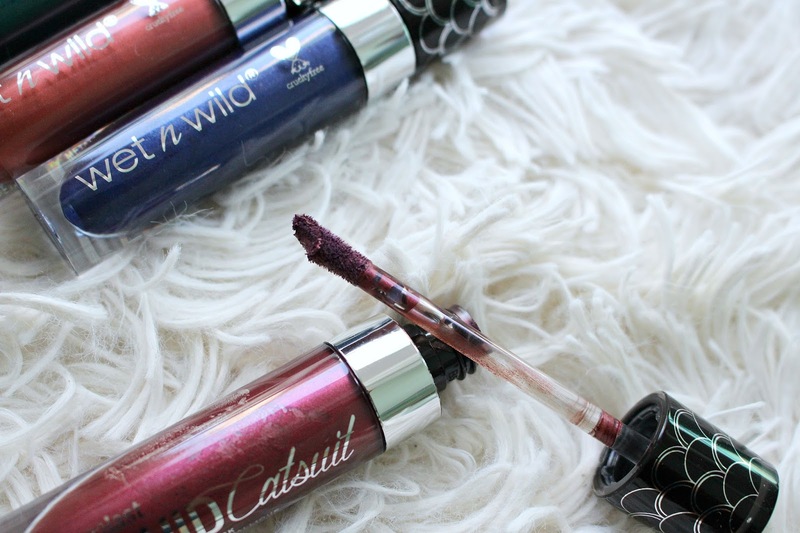 Brand new at the drugstore are the Wet n Wild Midnight Mermaid MegaLast Metallic Liquid Catsuit Lipsticks. They are a part of the Wet n Wild Mermaid Collection, you've probably seen it on Instagram, I know I've been drooling over it. I also swatched the Wet n Wild Mermaid Highlighter in another blog post. 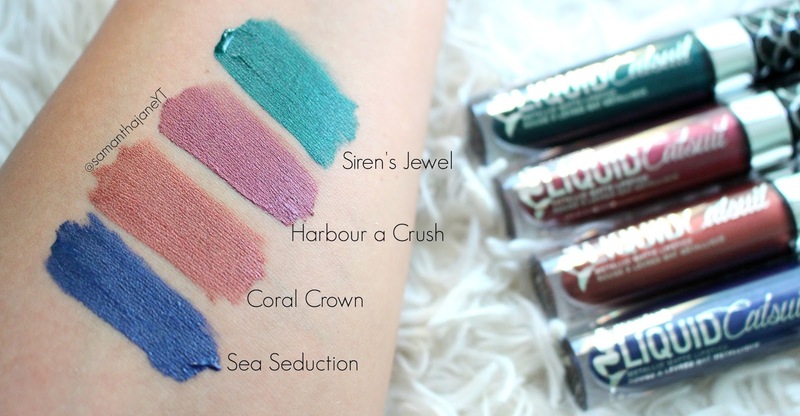 You can see the entire Mermaid Collection in action in my Live Swatch Video. 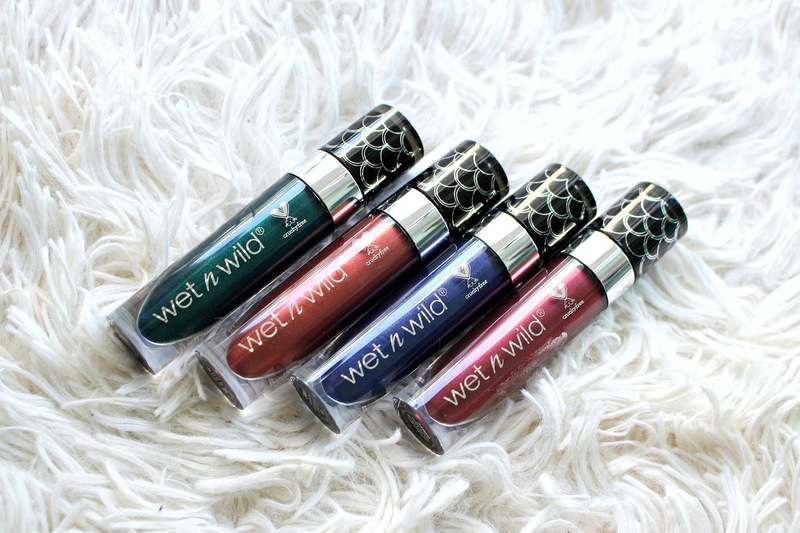 The Wet n Wild Mermaid Collection Liquid Lipsticks retail for around $4.99 depending on where you pick them up and there are 4 shades. If you'd like to see the permanent line in action I have a full lip swatch video of the Wet n Wild Megalast Liquid Lipsticks. They have a more moussey consistency than the originals, they are still "matte", although metallic so there is some shine, they aren't completely flat. They are full of pigmentation, don't feel chunky and have no real scent. Not 100%, I do a kiss test and chat more about it in the linked video!